With Firmcam steadicams you get a quality product in the sophisticated design and high functionality. 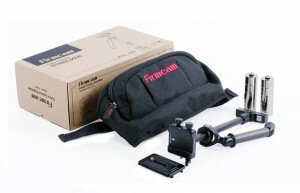 The steadicam are suitable for almost all camera systems. Hands-free tracking shots without blurring and professional recordings are possible. The steadicams are made of aluminum and carbon. The quick-release heads are made from the base plate to the command dials of 100 % aluminum. This is complemented by stainless steel guide shafts and a gage brass . 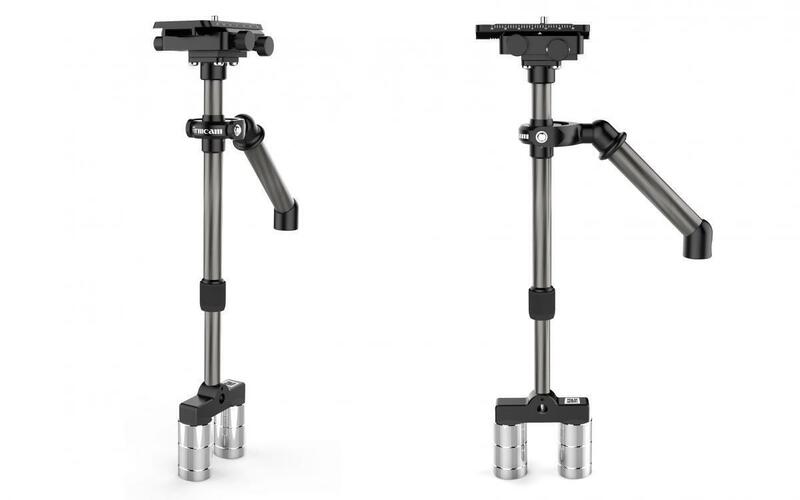 The Cobra steadicam is made from high quality aluminum and lightweight carbon fiber. 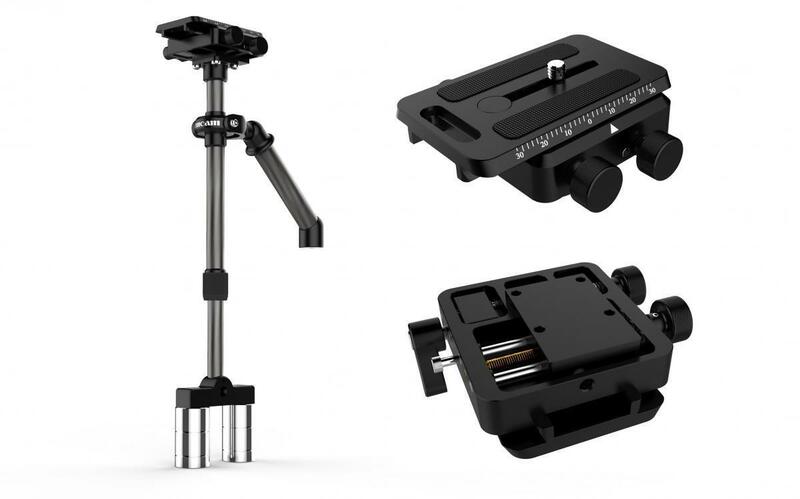 The quick – release plate with millimeter marking ensures fast to balance various camera systems . 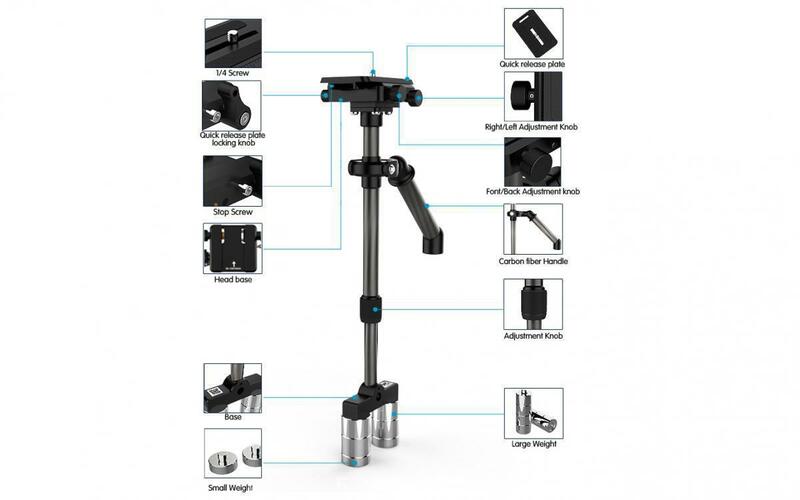 The handle of the Cobra steadicam is coated with a non-slip material , thus ensuring a steady hand guiding . The Cobra Steadicam has a height of 280mm and can be extended to a height of 370mm . The foot can be supplemented with any number of weights. Available with weights 0.1 kg and 0.05 kg weight. The Cobra steadicam is suitable for small to medium-weight compact and bridge cameras , and smartphones. These can be fitted by a special optional bracket to the steadicam. The maximum load capacity is 2 kg. 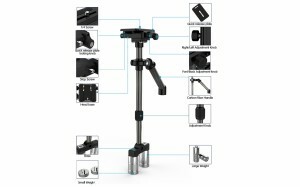 With a net weight ( without extra weight ) of 495 grams of the suitability of this steadicam also as a flexible travel steadicam . To transport a high quality bag is included. Lark or Gecko for Bridge Cameras ? Which steadycam DSLR camera ?